Destination weddings, in a way, are a romantic and serene getaway for not only the couple, but also their family and friends. 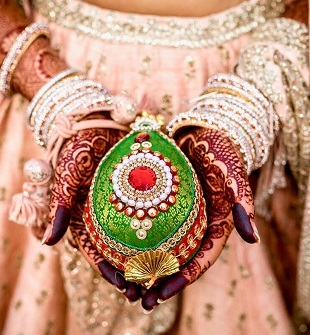 Such weddings give a beautiful environment in the depth of nature to exchange jai mala and take the pheras. Which is why the perfect setting is required for the most important day. With the Southeast part of the continent offering a beautiful range of exquisite and dreamy locations, here is a list of the best Destination wedding locations in Asia. Some places you can take all your near and dear as you and your betrothed tie the knot. Bali is one of the most stunning locations for not only weddings but also honeymoons. This makes it one of the best Destination wedding locations in Asia. What better than having the enchanting temple Tanah Lot in the background overlooking your wedding. Located by the sea, the temple is a fine example of Bali architecture and is in the presence of the natural beauty. An evening wedding by the sunset view is the most suited for the location. Pan Pacific Nirwana Bali, overlooks the scenic site of the temple and is one of the best places to wed at. The Maldives is the tropical paradise; an exotic and beautiful sight. This is one of the best destination wedding locations in Asia. Overlooking the Indian Ocean, this place is breathtaking and awe-inspiring. The location offers venues such as Baa Atoll for a beach wedding with the stunning water everywhere you look and a dreamy sunset. Anantara Kihavah has the availability for a scuba ceremony, allowing you and your beau to wed underwater. The white sands and the turquoise, crystal clear water are all you need for your dream wedding. Thailand offers a number of stunning locations for a laidback beachside wedding. Koh Samui, for one, offers an exotic and romantic setup for a dreamy, serene wedding. Excellent cuisine, sparkling blue water and white sandy beaches are the best settings for the D-Day. Phuket is another destination that can be opted for at any time of the year. The Aleenta Phuket Resort and Spa offers the perfect location for an intimate and enchanting ceremony with its breezy, beautiful environment. The fact is known that Malaysia is one of the most exquisite and breathtaking places. Its natural beauty is stunning and the location is intimate. Pangkor, Malaysia is the wedding paradise and is one of the favourite places for couples, making it one of the best in Asia. The well-known Pangkor Laut Resort is a dreamy location. This can be chosen for the most important day of your life. A beachside wedding or reception will make the day even more memorable. 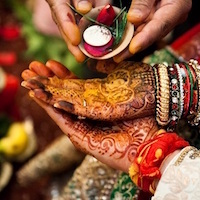 Vietnam offers one of the best locations for a wedding and is the India Wedding heaven. It’s an upcoming destination for both weddings and honeymoons. Vietnam should be your pick to cherish your day with your betrothed. Amiana Resort Nha Trang which lies along the coastline gives the background of stunning hills and is a breath-taking location for an intimate wedding. 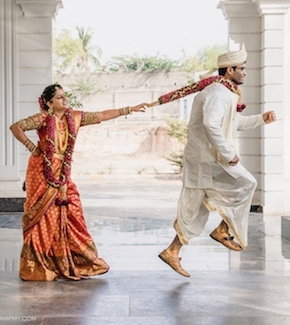 Latest Fashion Trends For The Indian Grooms!